New Lander variscite studs hold a huge dangling garnet of deep red. 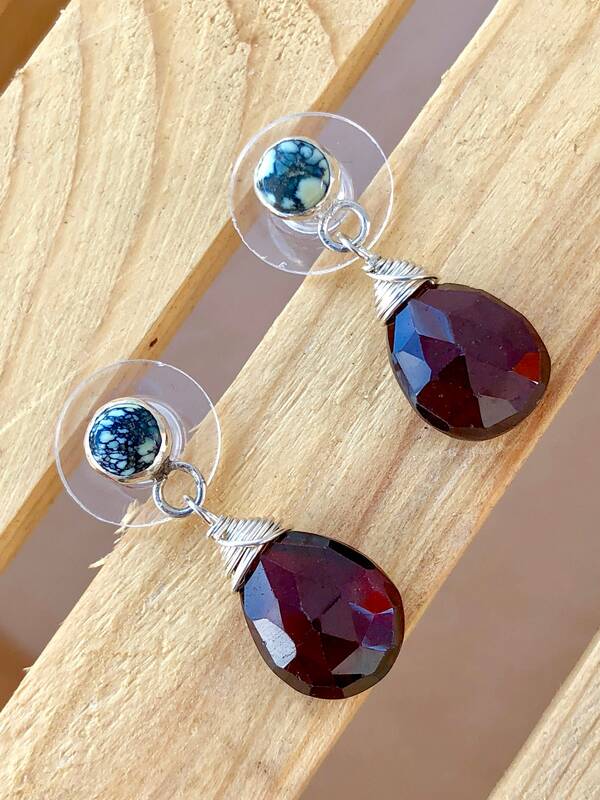 These earrings are entirely handmade using sterling silver. • The New Landers are 5mm in diameter. 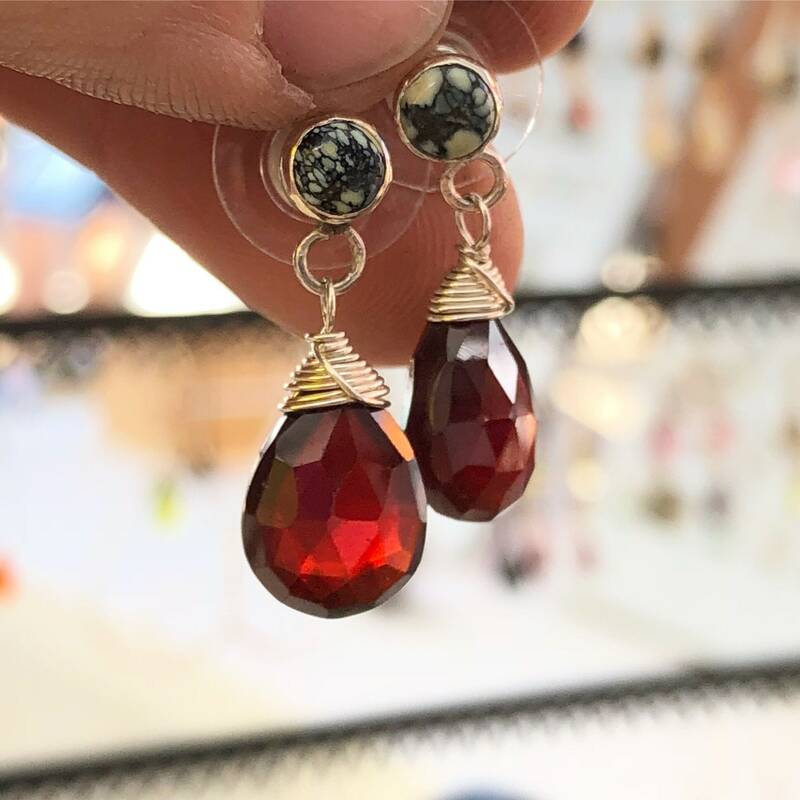 • The garnets are 13mm x 9.5mm. 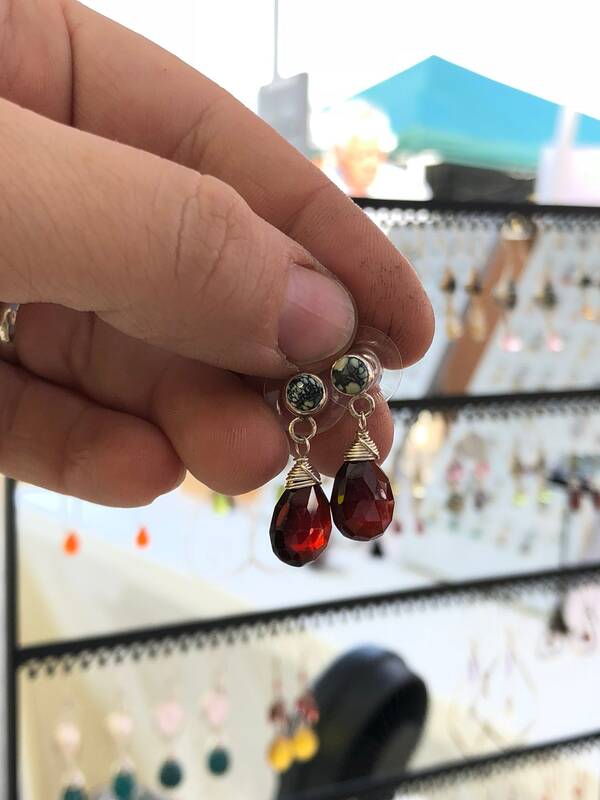 • These earrings are approximately 1" long.